A co-worker recently returned from a 2 week European vacation, all engaged and stuff. 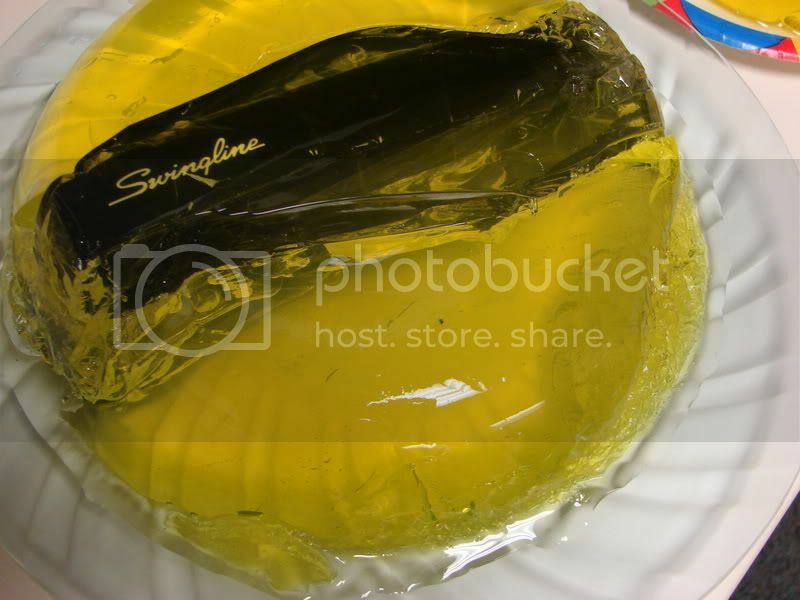 To welcome her back, a group of us put some of her office supplies in jello (actually, not her office supplies, as she had LOCKED THEM UP in a drawer!). She's a big fan of the show The Office, you see, and this particular office prank is one Jim pulled on Dwight in the pilot episode (as seen above). 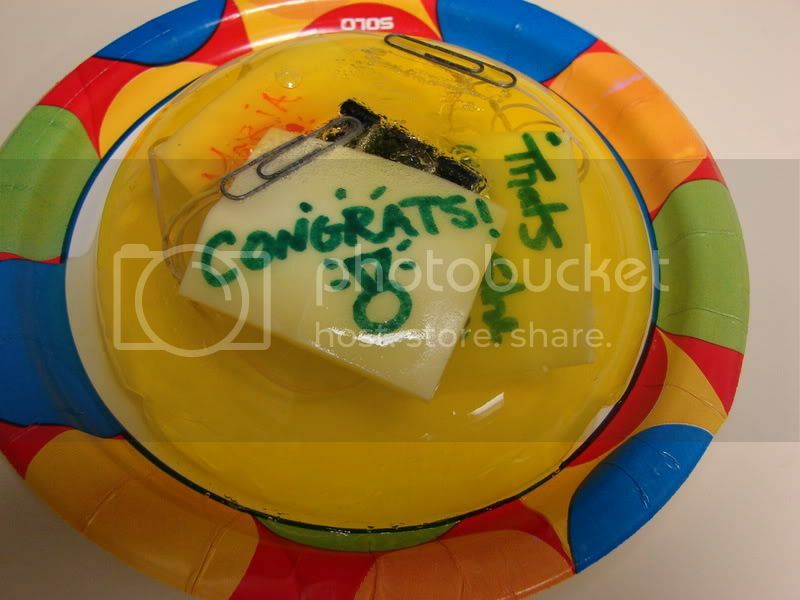 We used sugar free lemon jello-sugar free to avoid a sticky stapler. Also, the stapler was wrapped in saran wrap in a vain attempt to protect it. Even though the plastic wrap didn't keep the jello out of the stapler, the darn thing survived and still works...it just needed a thorough rinse in hot water and a good drying. Overall a successful prank. 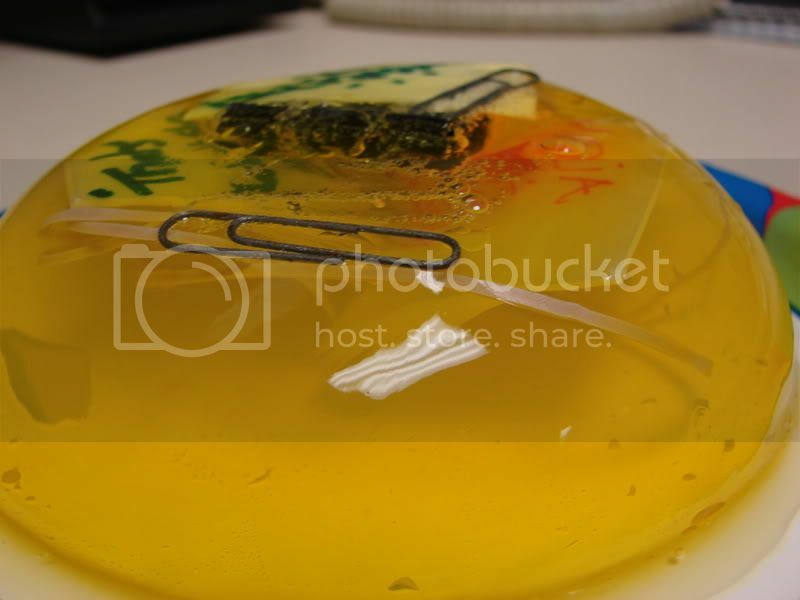 Though, I wish I had known about this jello stapler tutorial before!